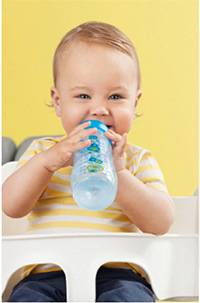 With his 3D shape, bright colors and varying features, Bob will help stimulate and develop all of baby's senses. 3D shape makes it easy to grasp and hold. 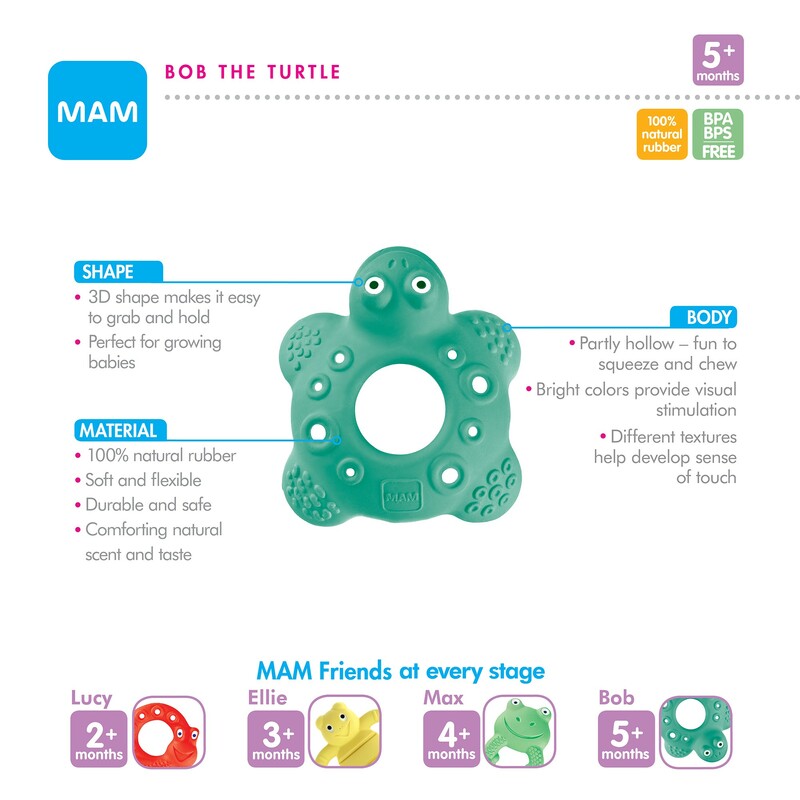 MAM Friends Bob the Turtle 100% Natural Rubber Developmental Teething Toy, 5+ Months, 1-Count, Unisex is rated 4.8 out of 5 by 5. Rated 5 out of 5 by Binkey15 from Many different textures When I first got this my baby was 7 months old. I was worried because it is heavy for a teething toy. My child absolutely loves this turtle. Each flipper has different bumps, and the head of the turtle isn't too big to cause worry or concerns, when my child decides to eat the turtles face haha. This will make the list of baby shower gifts in the future. I can't recommend this toy enough. And my child doesn't have teeth yet. Rated 5 out of 5 by Heather Nicole from Most preferred by baby for sure! My daughter pays much more attention to this teether over ANY other one I’ve bought. So much so I bought another and have put away all other teethers. Natural rubber must be why. I feel bad for not knowing about this for my older children!